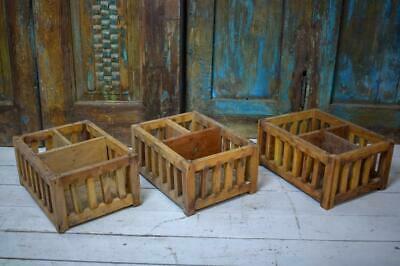 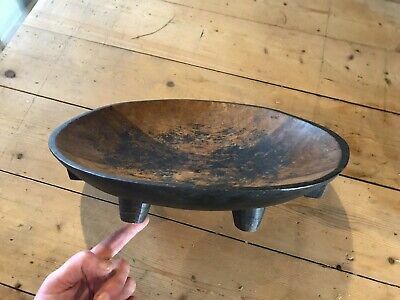 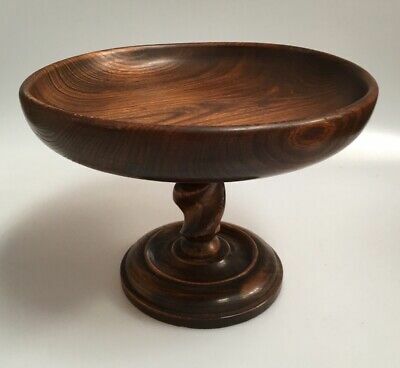 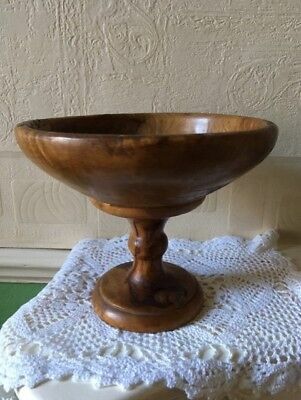 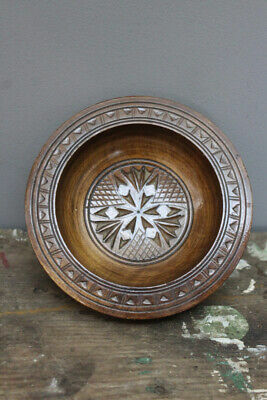 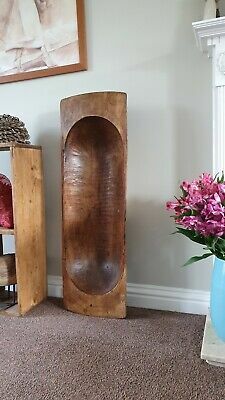 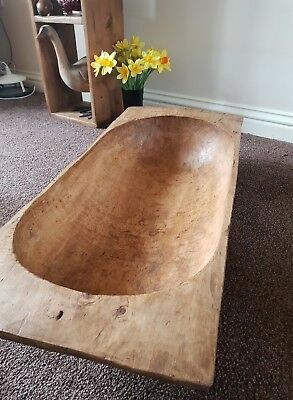 Lovely Antique Vintage Turned Oak Fruit Bowl On Bun Feet. 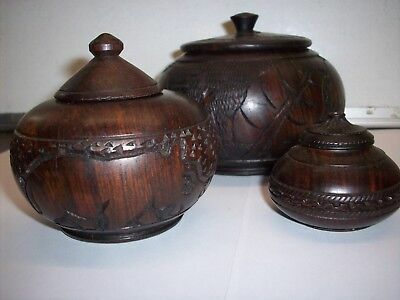 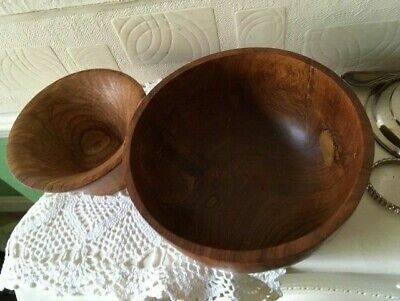 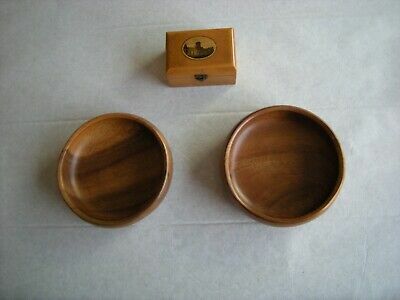 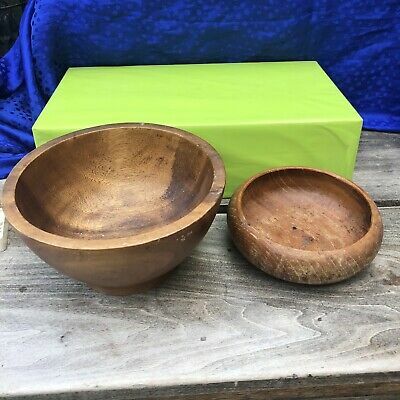 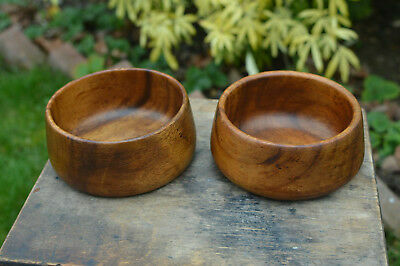 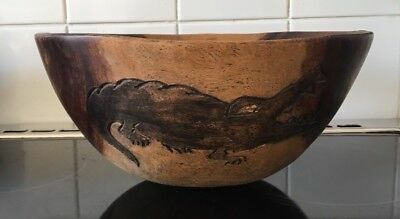 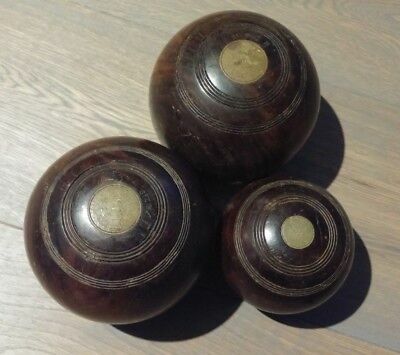 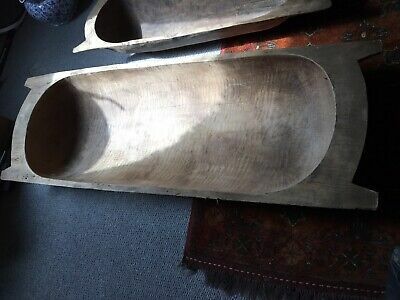 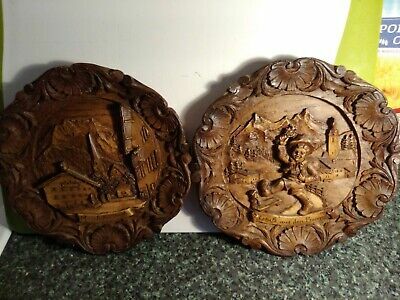 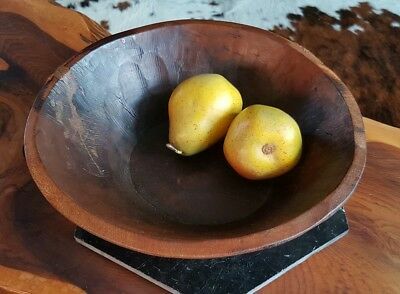 Pair of Vintage Hand Made Wooden Bowls . 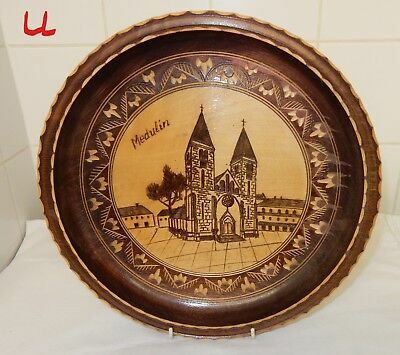 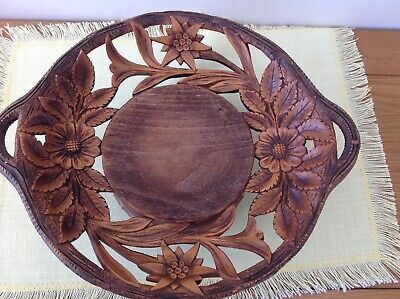 Antique Oak Carved Gothic Church Collection Bowl " + Give Alms Of Thy Goods"
Old Thorens Musical Serving Plate.Swiss.Carved Black Forest wood,eidelwiess dec. 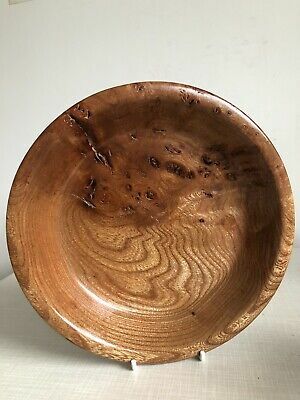 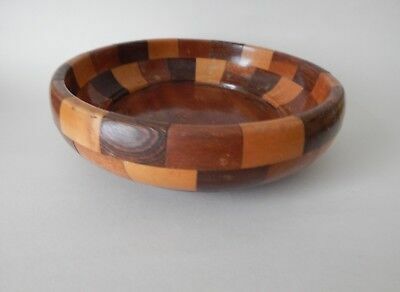 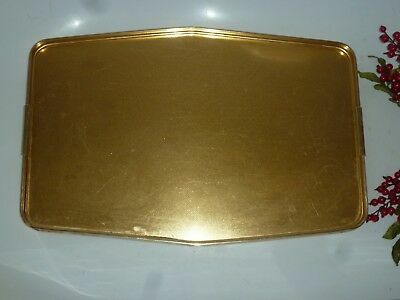 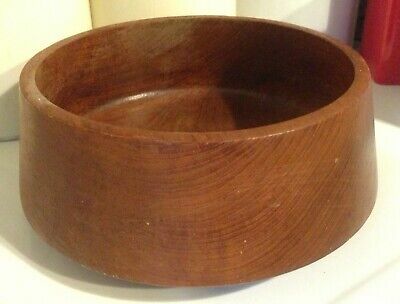 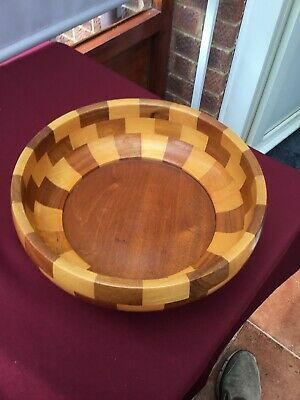 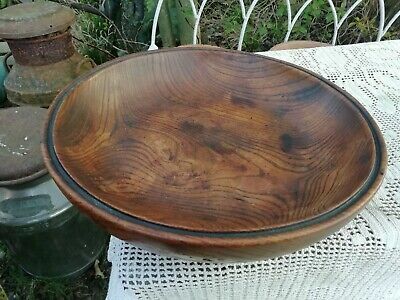 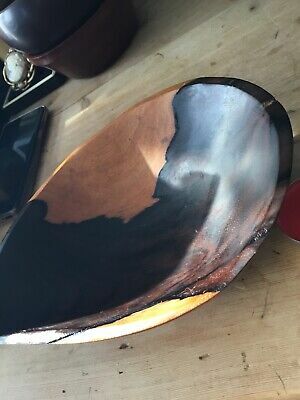 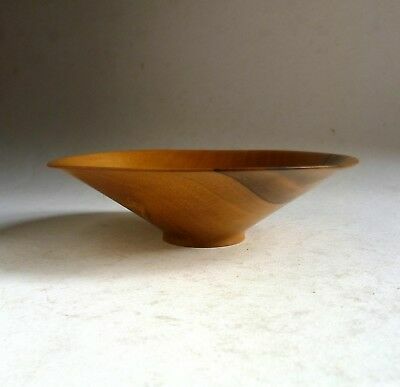 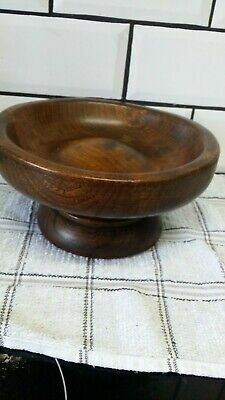 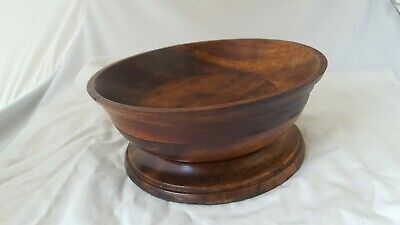 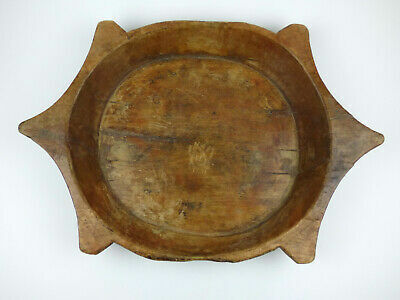 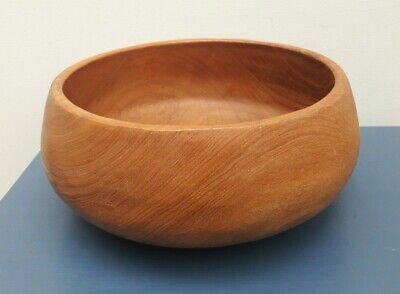 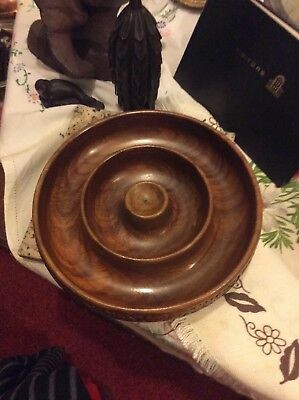 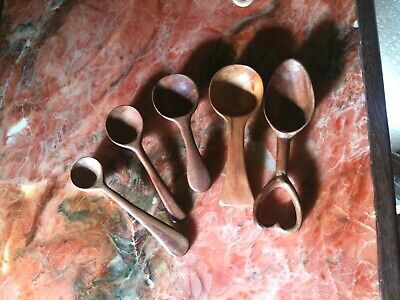 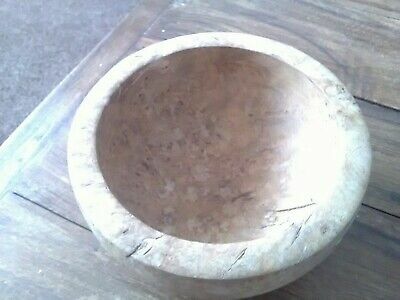 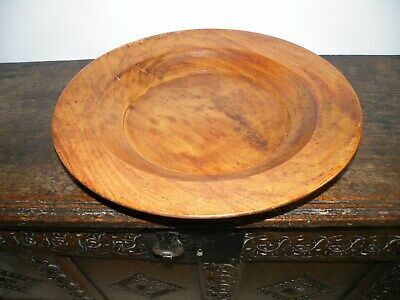 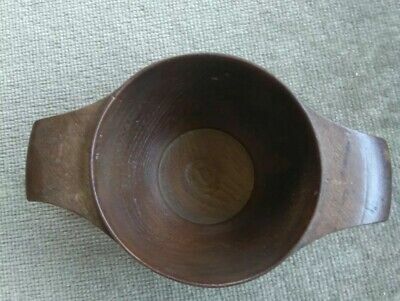 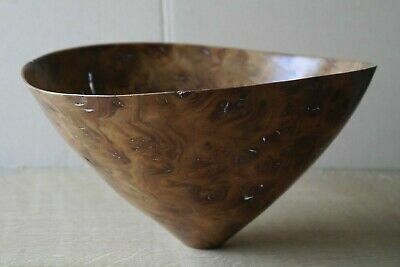 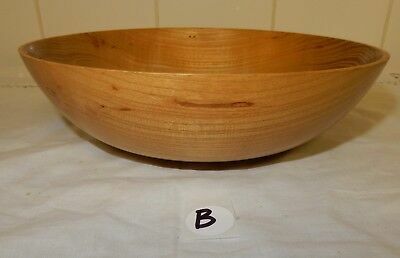 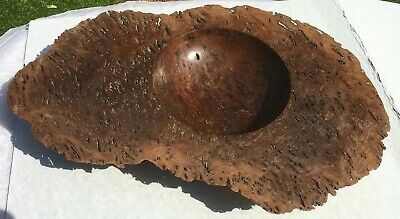 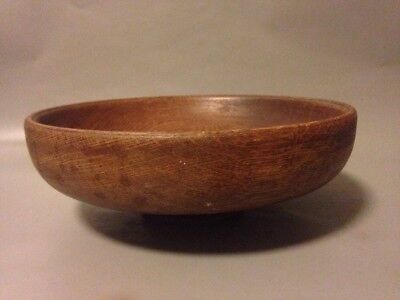 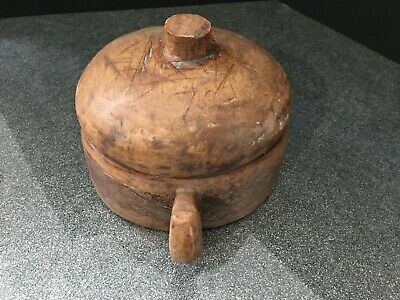 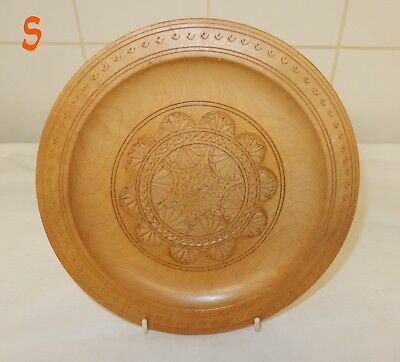 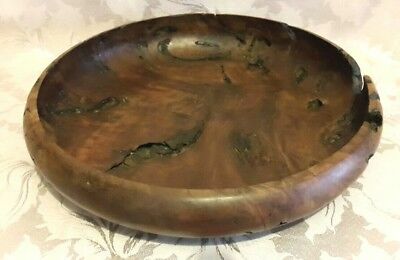 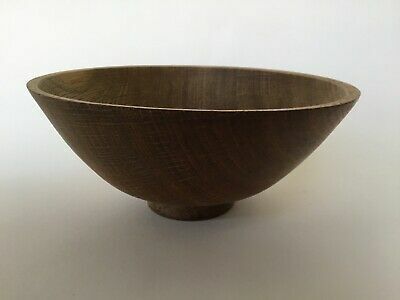 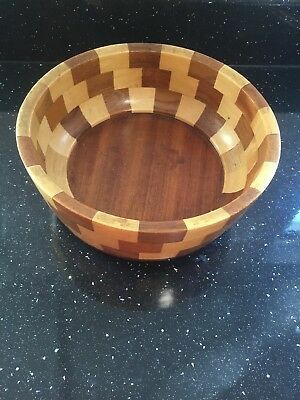 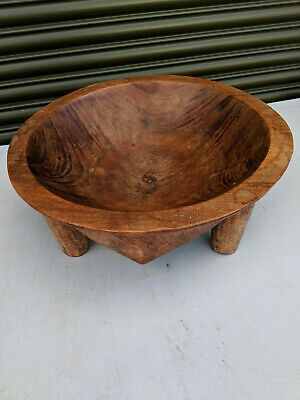 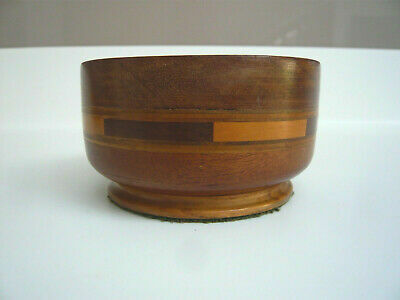 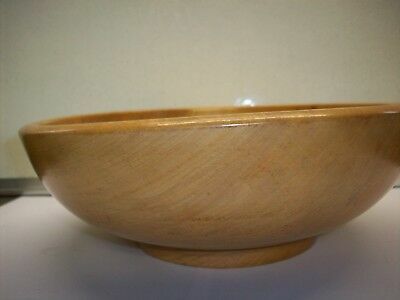 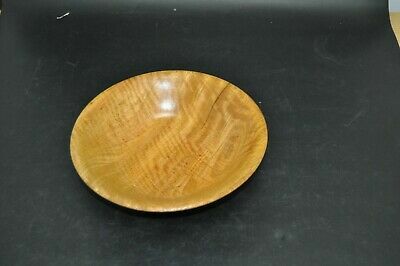 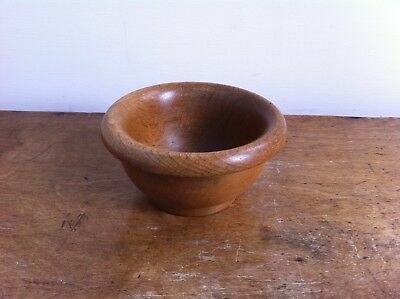 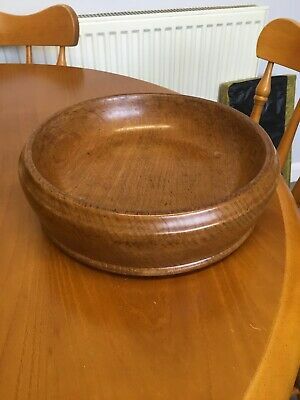 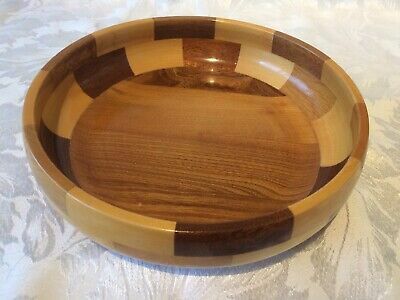 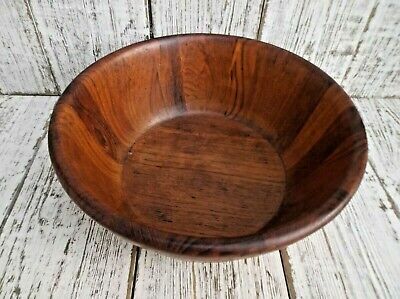 Antique, Treen Bowl, Beautiful Grain, Made From A Piece Of Solid Wood. 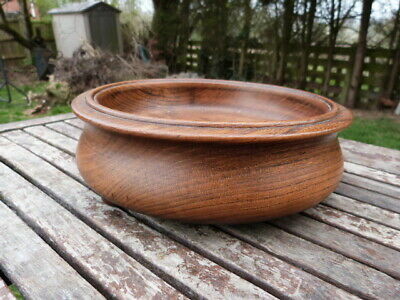 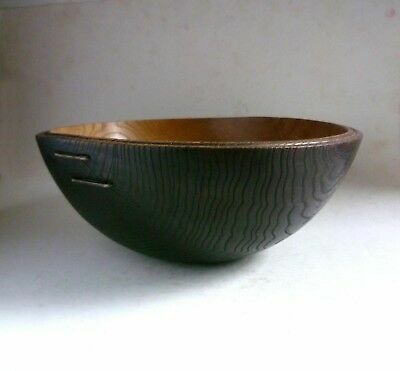 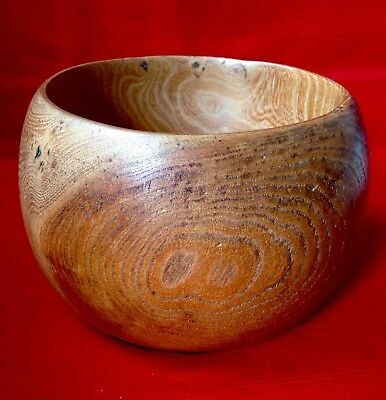 KEVIN HUTSON Finely Turned Wooden BOWL 15cm British Woodturner. 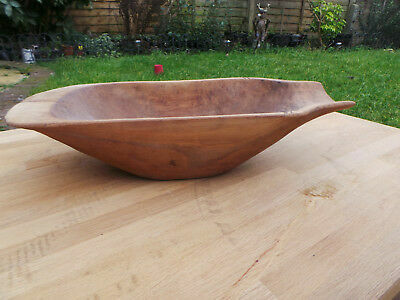 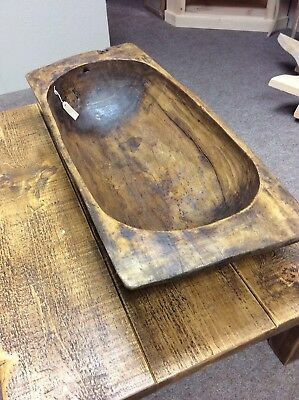 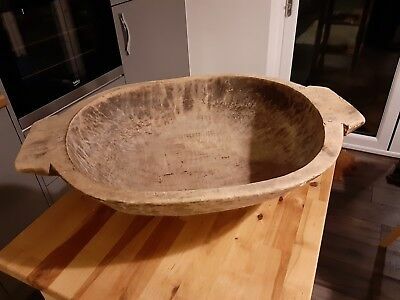 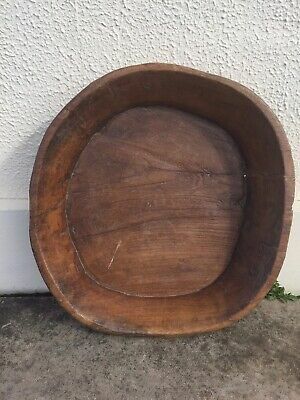 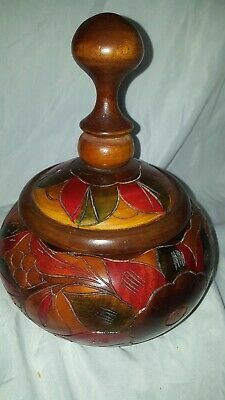 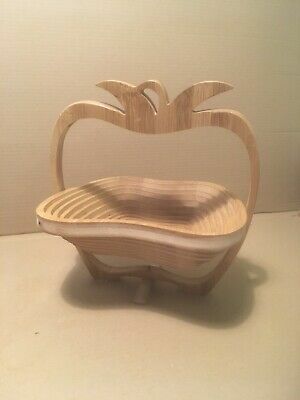 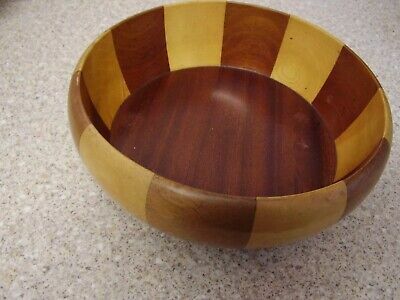 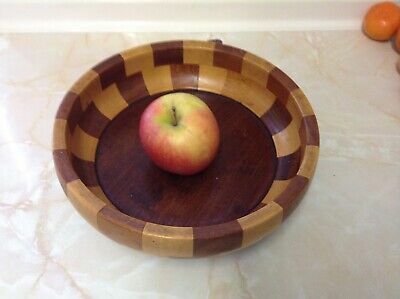 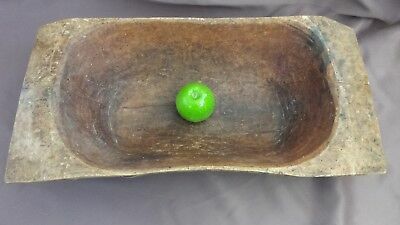 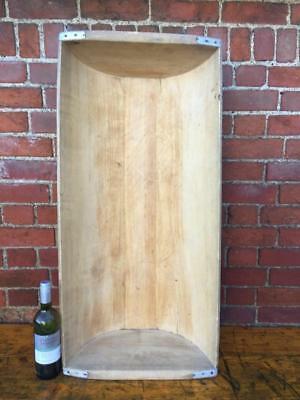 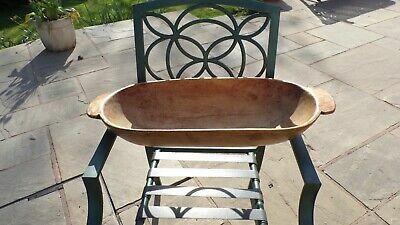 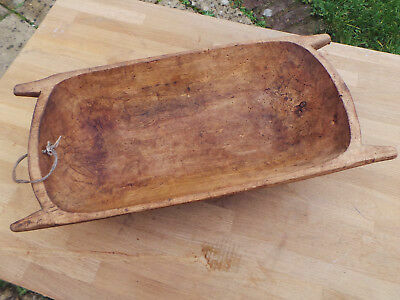 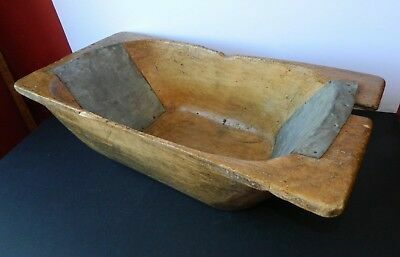 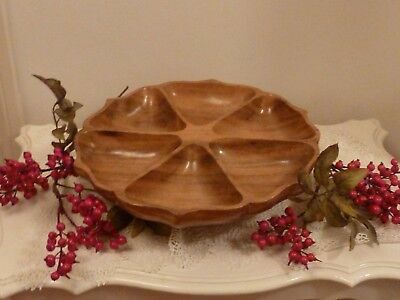 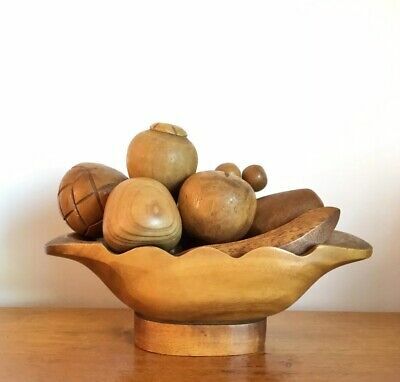 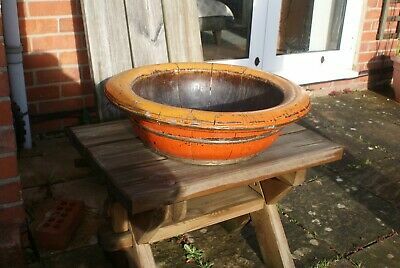 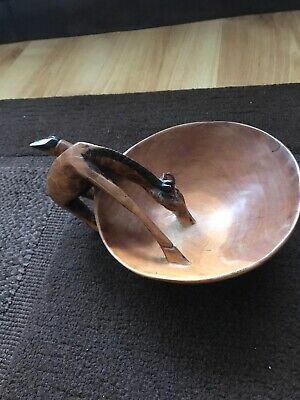 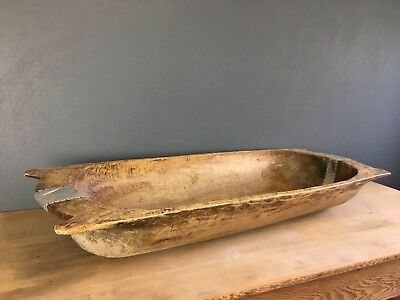 Vintage Wooden Apple Shaped (Collapsible) Fruit Bowl. 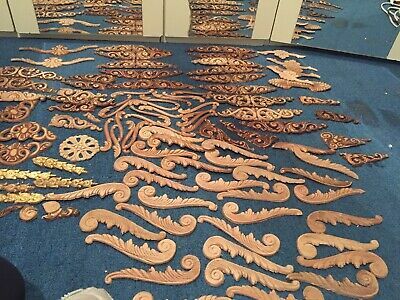 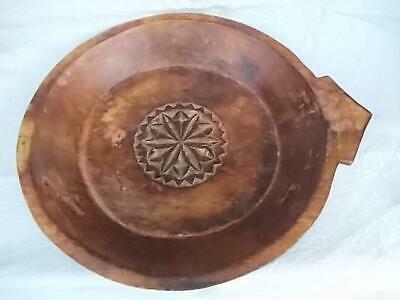 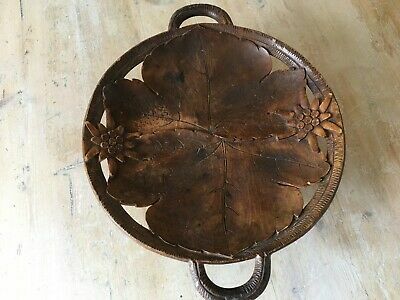 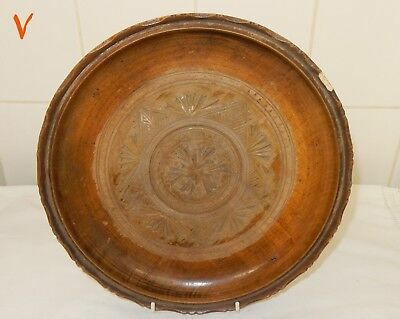 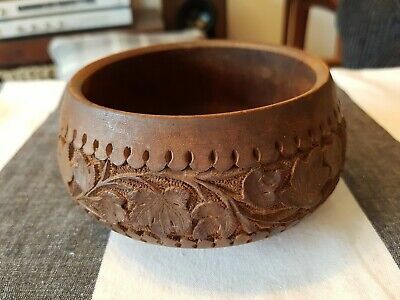 Old Wooden Floral Design Bowl. 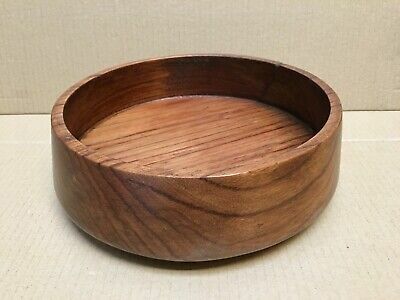 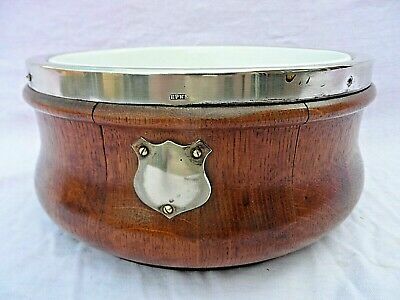 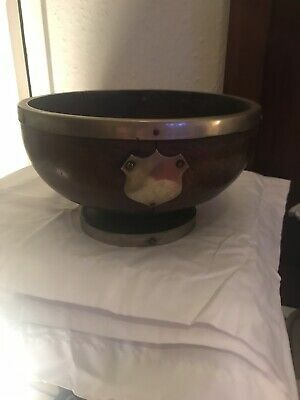 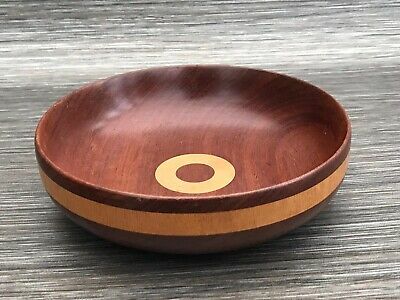 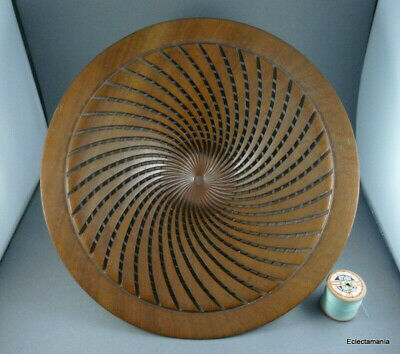 Vintage Wooden Handmade Layz Suzan Bowl,rotating Server Plate Swivel Dish Teak?